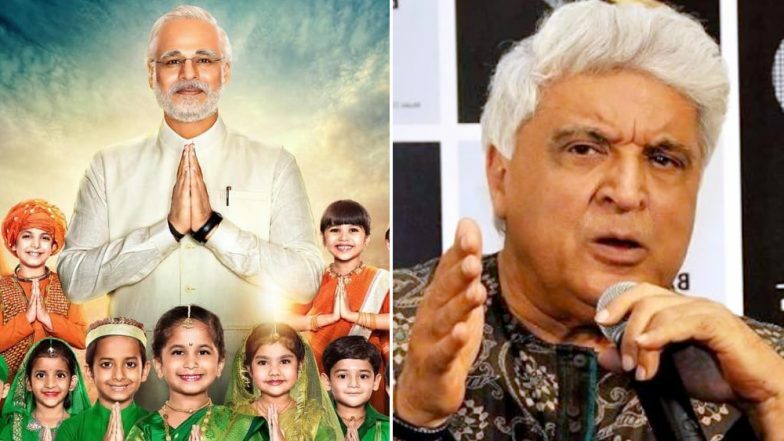 PM Narendra Modi Biopic: Javed Akhtar Is CLUELESS on Being Named As Lyricist in Vivek Oberoi’s Film, Trolls Argue He Is Not the Only ‘Javed Akhtar’ in Industry! The trailer of PM Narendra Modi biopic has already caused a lot of outrage among the Twitter community. From Vivek Oberoi looking nothing like the Indian Prime Minister to the obvious whitewashing of the protagonist, Twitterati was left completed divided over the trailer. There is also the fact that PM Narendra Modi biopic is releasing on April 5, just about the time when the 2019 Lok Sabha elections are happening. And it looks like that's not the only controversy the film is attracting right now. PM Narendra Modi Biopic Trailer: Truth or Propaganda? Vivek Oberoi’s Film on Indian Prime Minister Is Bound to Divide Viewers – Watch Video. For eminent lyricist and screen playwright, Javed Akhtar brought to light a very strange controversy that Narendra Modi's biopic is involved. In the credits part of the trailer, Javed Akhtar is named as one of the lyricists in the film, the others being Prasoon Joshi, Sameer, Abhendra Kumar Upadhyay, Sardaraa, Parry G and Lavraj. The funny part is Javed Akhtar is clueless about why he is credited as the lyricist for the film, when he has not written any song for it! PM Narendra Modi Biopic Trailer: Twitterati Slam Vivek Oberoi's Casting, Call the Film A Spoof. The laughs don't stop there. Haters and trolls of Javed Akhtar, who is known for his liberal and anti-right wing stance, are now arguing that he is not the only 'Javed Akhtar' in the industry. Give it to these so-called supporters to find out any excuse to defend the movie! There are so many ghost writers in industry.. Javed Akhtar name is not patent..may me he is someone else. Javed Akhtar Jr.
And this story👇 has nothing in common with his wife too! Is there only one Javed Akhtar in the industry?? Little research always helps.. However, there were more sensible voices in the crowd, who called out T-Series, the music company involved in PM Narendra Modi biopic, for this fake claim and asked Javed Akhtar to take appropriate action. We are looking forward to seeing what Vivek Oberoi, director Omung Kumar, fellow lyricist Prasoon Joshi and T-Series have to say about this. Like the trolls are claiming, will they bring out a new 'Javed Akhtar' out of thin air (someone so important that he is placed before Prasoon Joshi) or will they rectify the error and apologise to Akhtar? Let's wait and watch.